Many years before I ever saw one, I had heard of the mystical Tam O’Shanter Hones (also called Water of Ayr Stones, Snake Stones, or simply Scotch Stones). Touted by old hands in the jewelry business as the best no-fuss way to quickly remove small amounts of unwanted solder or other blemishes on metal, these lovely stones disappeared from the market around 2000, some years after the faltering Scottish mine finally closed. You can find them on Ebay occasionally, but such an unreliable source is a poor suggestion to make to an eager student. Much better would be an answer to the question: What can reasonably replace the celebrated Tam O’Shanter Hone of old? Tool and die makers traditionally use stones similar in size to the Tam O’Shanter Hone for smoothing steels and various other metals, including soft non-ferrous metals like aluminum and brass. Though many of these stones are designed to use with oil as a lubricant, I used water. Water works perfectly well and oil only introduces into the process the headache of cleaning the metal, and interferes with soldering and patinas along the way. Stick to WATER! Tam O’Shanter Hones – the classic. I believe this is a type of fine slate, but I was unable to find any specific information about its chemical or geological composition. 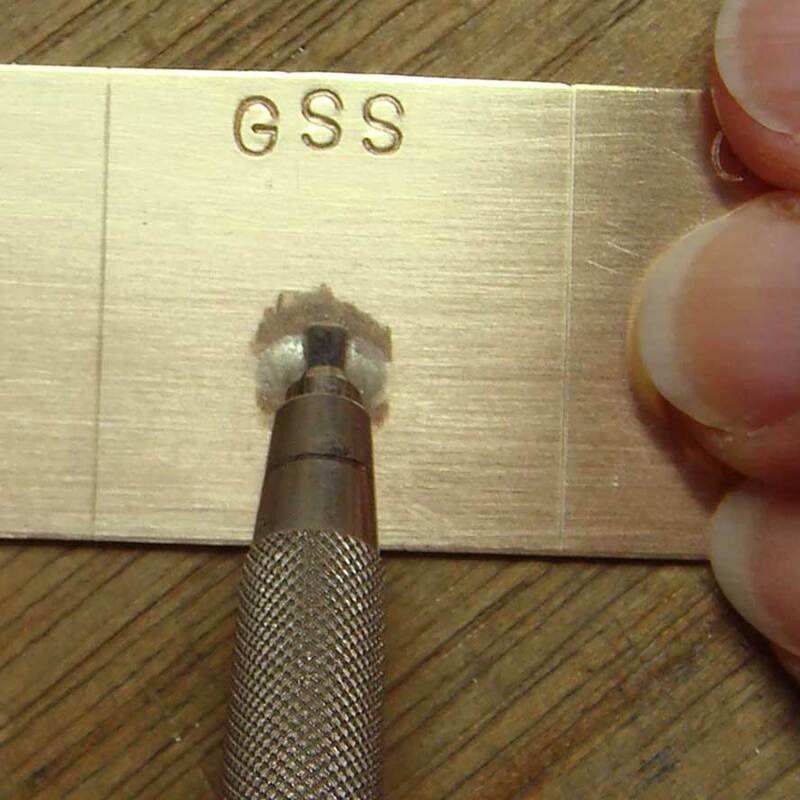 It’s soft enough to cut with a regular jeweler’s saw, and shape with a regular file. One of its salient characteristics is that it conforms to the surface it is worked over, so it doesn’t gouge. 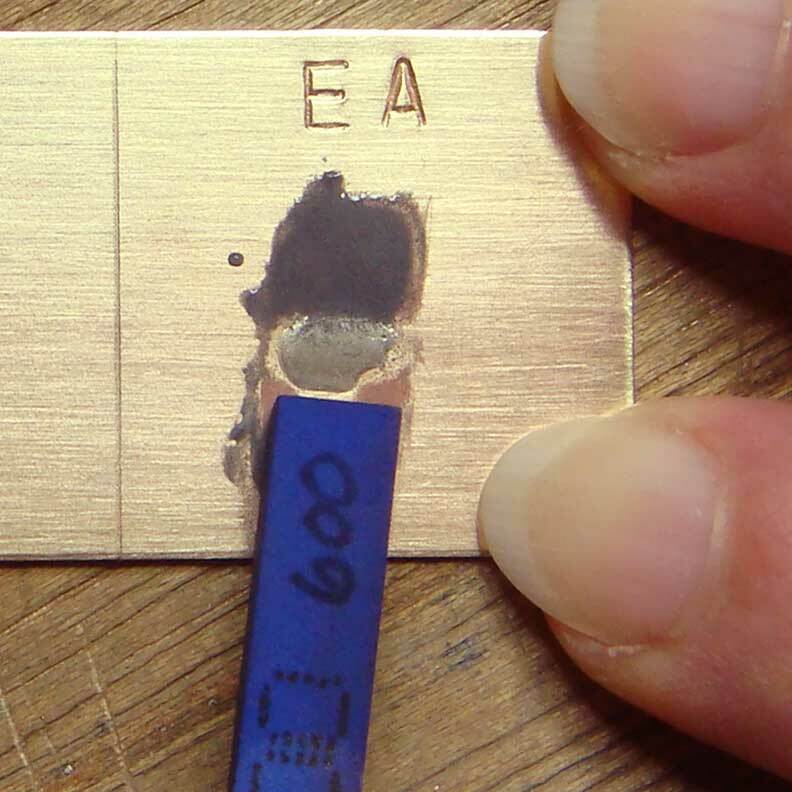 Hence its traditional use to “erase” blemishes like excess solder. There is only one “grit”, which is roughly 600-800. Gesswein New Super Stone (NSS) Ceramic Stones – These alumina fiber stones come in grits from 120 – 1200, and sizes as small as 0.5mm x 0.5mm x 50mm. That’s the size of a mechanical pencil lead. So, yeah, they can get into really TINY spaces :). Plus the fibers are all perfectly lined up so they only cut at the ends, not along the sides, and they are very strong for their size. You can break them with a pair of flat jaw pliers, and shape them with an old file (I like that Gesswein calls out that it should be an OLD file!). When I first encountered these, I asked for feedback from a jewelry forum, and James Binnion (whose work is gorgeous and knowledge encyclopedic) kindly responded that he loves them, asserting that, “They are the best finishing stone I have used… I can’t say enough good about them.” He went on to say, “I work through the grits just like sandpaper, coarse for rough fast cutting and then finer grades to clean up to pre-polish state. So I would vote for 180, 300 and 400 at a minimum.” He shapes the finer grits (800, 1000 or 1200) to fit into areas he can’t reach with any other tool, smoothing the metal so that it only needs to be burnished for a final finish. The NSS Ceramic Stones I have are 2mm wide, so I popped them into a re-purposed Staedtler 780 lead holder which made them much easier to work with. They are relatively expensive (about $12 each for the 100mm ones), but quite long lasting, so you get decent bang for your buck. Got this 2mm lead holder at the local university book store. Gesswein Moldmaker Finishing Stones – I found out about these stones from reading Jim Kelso’s tutorial on Japanese Patination. These are silicon carbide stones available in a range of sizes (smallest is 1/4″ x 1/16″ x 4″) and grits from 100 – 600. When I bought mine, you could order them individually, now you have to either buy a box of 12 (yikes! ), or get a sample set of all 6 grits (runs about $16 for the set). Since they only go up to 600 grit, I bought another of Jim Kelso’s recommendations, a Gesswein Ultra-Soft Polishing Stone in 1200 grit. This is an aluminum oxide stone, and sample sets of these are available, too. No-name brand polishing stones in 600 and 800 grit. STEP ONE: Dip the stone in the water. 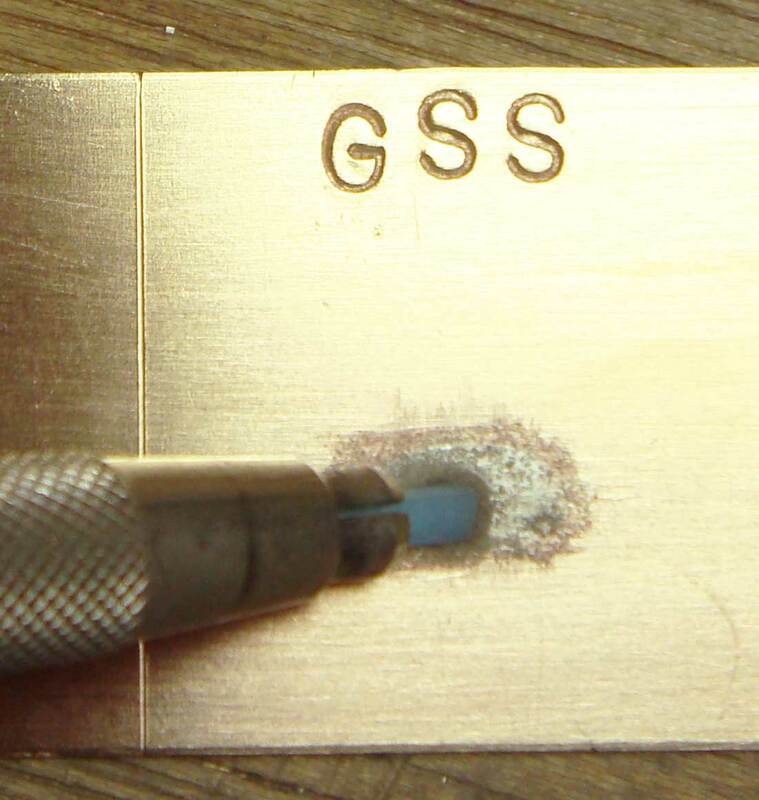 STEP TWO: Rub the stone on the solder blob or blemish. You may have to dip several times as you go along, depending on how thirsty the stone is. Tam O’Shanter Hone – Not a terribly thirsty stone, makes a nice slurry quickly, but the slurry does make it hard to see what effect you are having. I push the liquid to one side with the stone to check progress, or use a tissue to wipe it away for an even cleaner view. Tam O’Shanter Hone in action! Gesswein NSS Ceramic Stone – According to Gesswein, you don’t need lubricant of any kind with this stone. In the interest of uniformity of testing (ok, truth, I forgot…), I used water, and you can see that the stone does not, in fact, break down very easily, since it forms no real slurry. Does makes it easier to see what you are doing. You probably want a wider stone than 2mm if you are going to be tackling large areas. Gesswein NSS Ceramic Stone 2mm wide. The lead holder makes this polishing much easier. Gesswein Moldmaker Finishing Stone – The thirstiest stone I used. This one hoovered up the water and the slurry quickly turned to a thick paste. Just add more water to keep going. The up side of the quick breakdown of such a stone is that you can use a toothpick and the paste that forms to get into areas that the whole stone can’t reach. … which can have its uses! Yes, that’s my Staedler lead holder clutching the wooden toothpick. 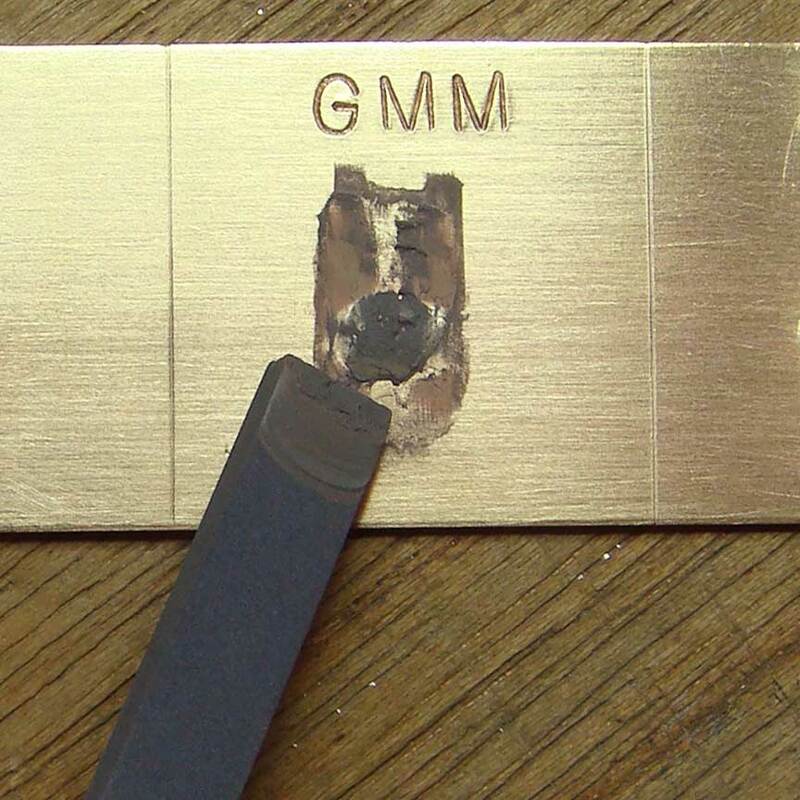 No-Name Brand (Engineered Abrasives) – Another stone that broke down pretty quickly, but worked fine. If you run across such inexpensive stones at your local hardware or tool supplier, it might be useful to acquire them. RESULTS – The Tam O’Shanter Hone was the only stone that had been pre-shaped. 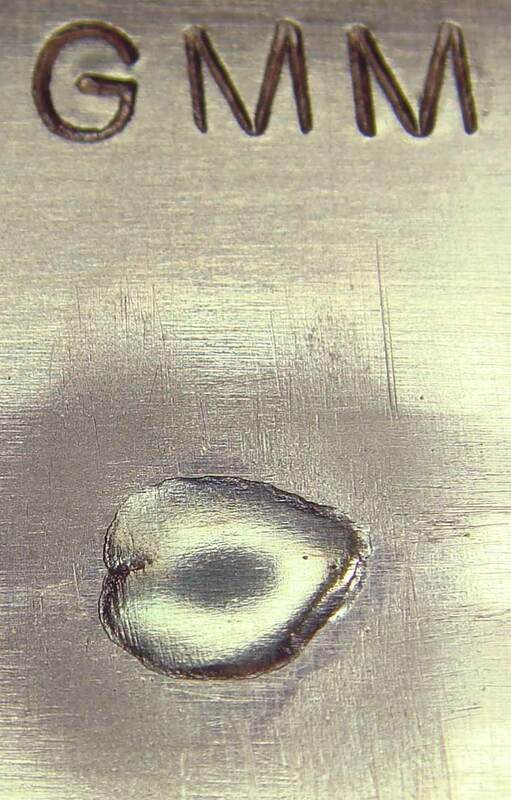 It had been worn down at an angle on the end, so it rubbed a nice flat area on the top of its solder blob(marked TAM on the left below). The other three stones had not been shaped (plus the Ceramic Stone is very small so it rode up and down over its blob), so there are more marks on the copper around all those test blobs. If you click on the picture below, it will open up a larger version in a new window, and you’ll be able to see a bit more detail. The three synthetic stones used are all 600 grit. 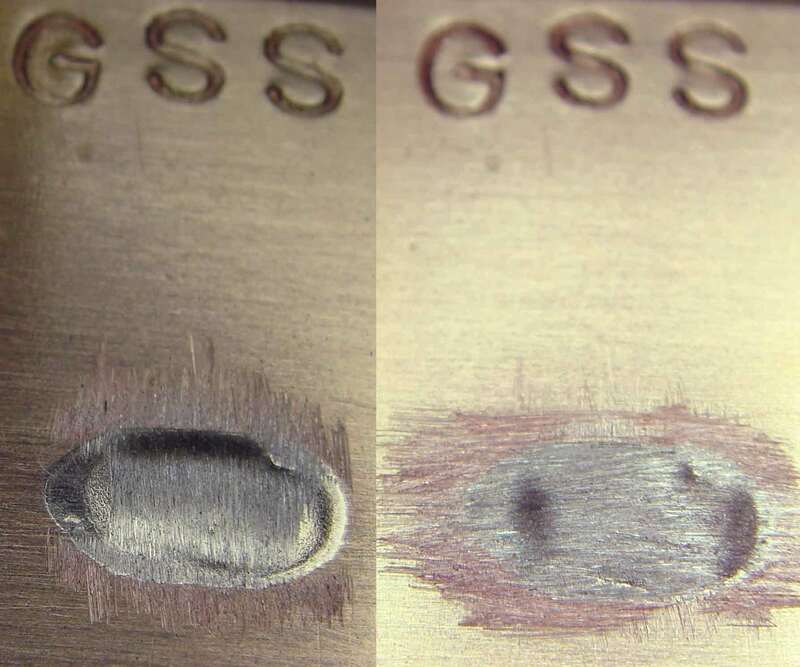 You can clearly see the marks of the ceramic fibers in the blob of solder marked GSS (Gesswein Super Stone), but other than that, the surfaces look pretty similar. 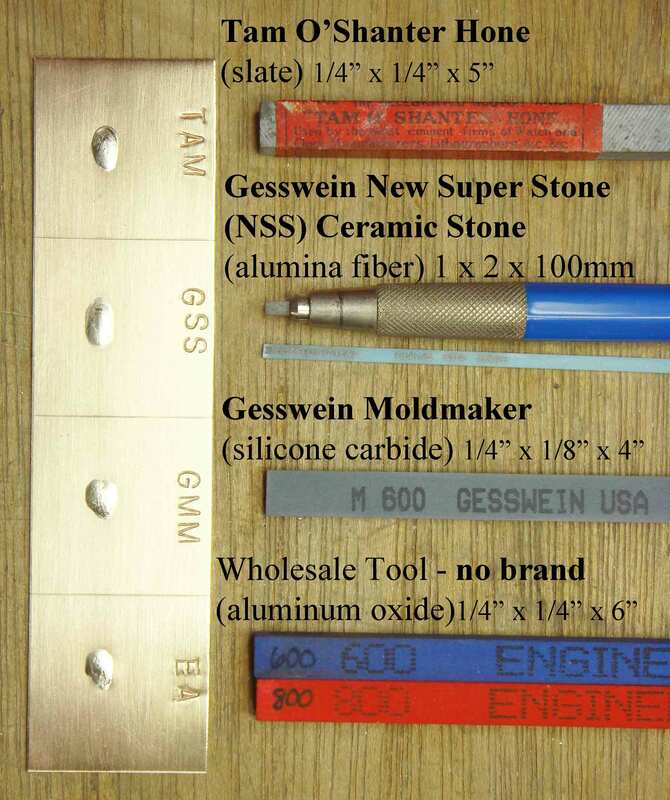 GMM is Gesswein Moldmaker, and EA is the no-name brand with “Engineered Abrasives” printed on them. 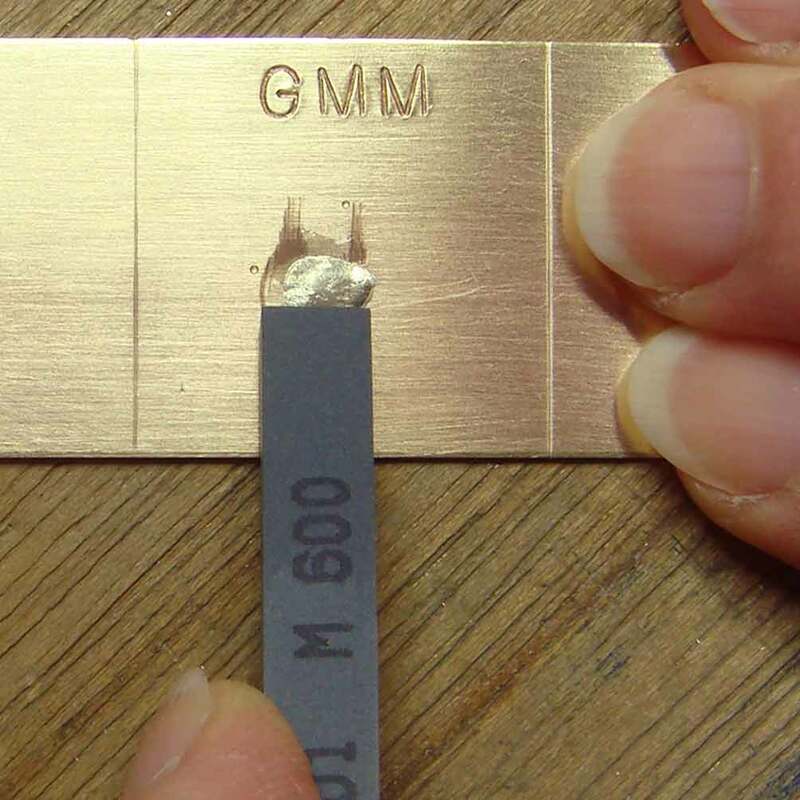 As the fineness of the Tam O’Shanter Hone is somewhere in the 600 – 800 grit range, I extended my test by using a couple of 800 grit stones and a 1200 grit stone – working at 90 degrees to the original tests. 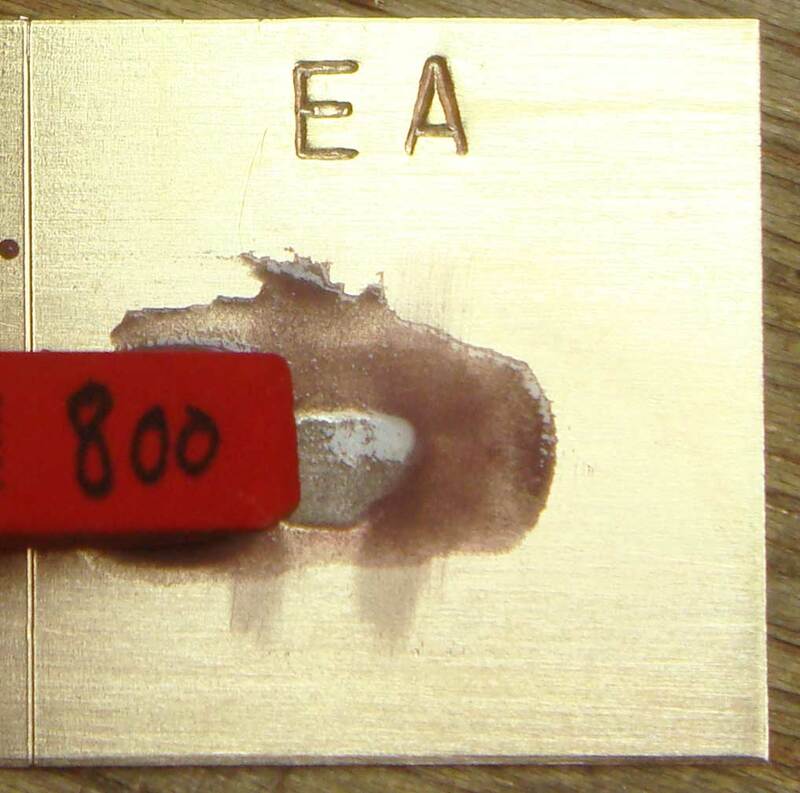 The fact that you can’t see much, if any, difference in the marks made by 600 and 800 grit may be due to the limitations of my camera vis-a-vis close up images, or it might just be that there isn’t a whole heap of difference to be seen. Brass brushing afterwards with soapy water reveals a nice shine on the top of this blemish, with only minimal effort and two Gesswein stones (Moldmaker 600 grit, Ultra-Soft Polishing 1200 grit). If you want to remove all the vertical marks left by the first stone, a bit more elbow grease with the second stone would be required. After using 1200 grit Ultra-Soft and brass brushing with soapy water. Vertical marks are from the 600 grit Moldmaker stone used first. Finishing stone test strip after brass brushing with soapy water. Final grits: TAM ~800, GSS 800, GMM 1200, EA 800. I would say that the solder blob finished to 1200 grit with the Gesswein Ultra-Soft Polishing Stone is, predictably, the smoothest and shiniest. Next after that is the finish left by the Tam O’Shanter Hone. The 800 grit Gesswein Ceramic Stone and the no-name brand produced similar matte finish results, with a few deeper marks in the Ceramic Stone blob from the alumina fibers. If you need to clean up really tiny areas, definitely consider a selection of the Gesswein NSS Ceramic Stones. Be sure you have a holder of some sort, like my Staedler lead holder. Gesswein also sells sets of the tiniest ceramic stones with a holder. Larger areas, or flat surfaces, will be better served by larger stones, which can be shaped with an old file into handy cones (like a pencil tip), knife edges, or other profiles to best fit the area you need to work in. Wow. You read all the way to the end! 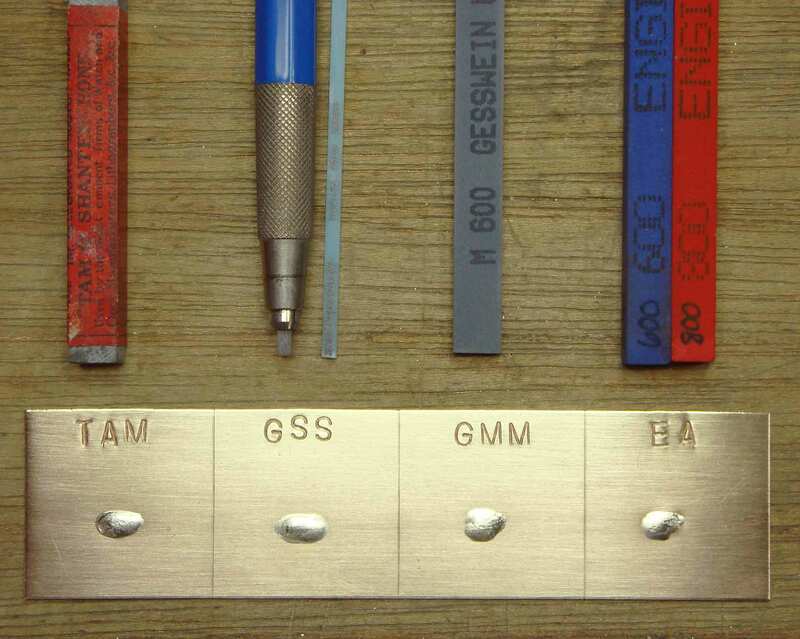 This entry was posted in Get the Most from Your Tools and tagged abrasive, alumina, aluminum oxide, Ceramic Stone, finishing, Gesswein, hone, James Binnion, Jim Kelso, Moldmaker, NSS, polishing, Scotch Stone, silicon carbide, Snake Stone, Staedler lead holder, Tam O'Shanter, Ultra-Soft Polishing, Water of Ayr Stone. Bookmark the permalink. 12 Responses to The Elusive Tam O’Shanter Hone… Mourning the Loss… Seeking a Substitute. Hi Julie, thanks very much for sharing this. 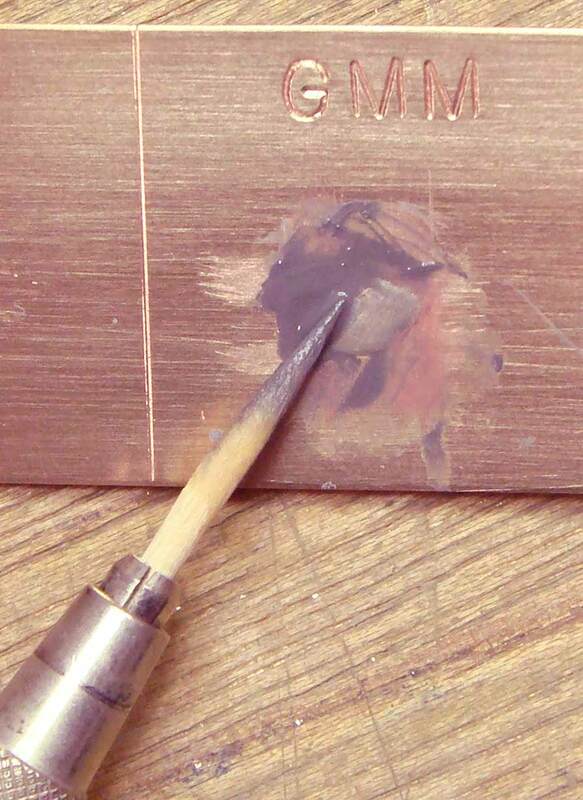 One small thing, do you think you could follow this up with a side view of the copper, as the shine from the photography makes the solder appear as raised as at first application? I would be most appreciative if this is possible. Thank you again, never heard of these and am very interested now in purchasing one. Regards, Kathleen. 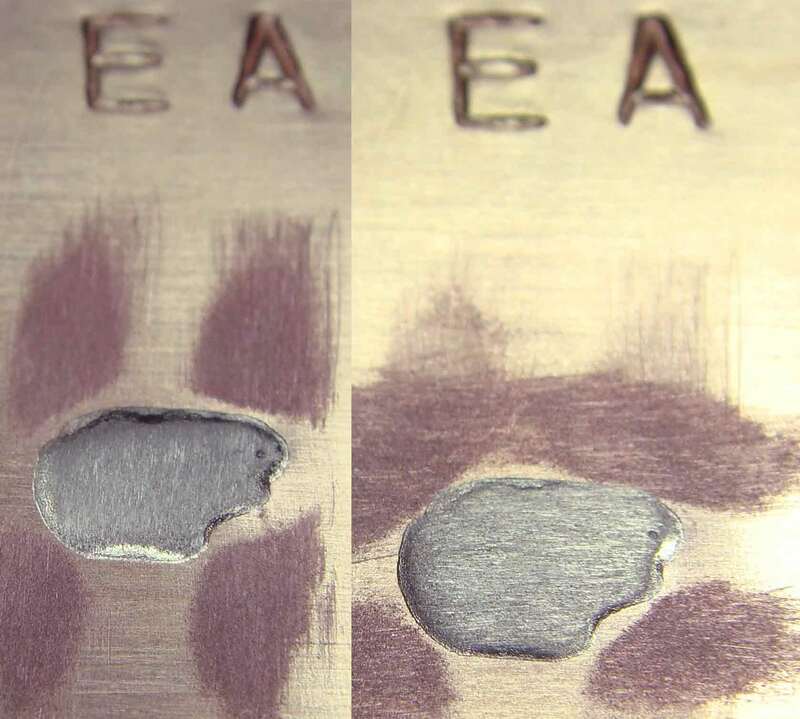 The silver solder blobs on the copper in the final photo are actually still raised up quite a bit, even after stoning. It would have taken considerable effort to smooth them down completely level with the copper, so I left them rather like some mountains in West Virginia, with their tops mostly sheared off :). I’ve been looking for information about what to get into those tiny places to remove excess solder for a couple of years and haven’t been able to find it. THANK YOU! Wow! Thanks Julia–great research–very thorough! I feel very informed. thank you Julia – I am happy to let you know I am retiring from “work life” and now will be back easing my way into the world of creating again. Its been a long while and I will winter in AZ with a silver smith club at the Rec centre. I can hardly wait. I look forward to connecting back with you and the group via email/facebook. I will change my email to my gmail account and no longer work account and hope to find a group to be with in person in AZ until I can get out and see you in person in Victoria. Hi Cindy! So glad to hear that you are coming back to your maker tribe :). Looking forward to seeing you again, both in person and online. i live close to the old hone mill at stair, for years the company dumped the excess offcuts into the river ayr where they have been washed down stream, if you walk along the riverbank between stair and enterkine you will find lots of these and often squared off ones ideal for your use. Wow, that’s so cool! Would love to have a ramble down the banks of the River Ayr and pick up some pieces of hone to bring home :). There is a very fine hone from that area called Water of Ayr. It is around 10000 grit. I think sometimes they were sold bound to a tam like a combination synthetic stone and sold as scotch dual hone. I would like to acquire a Moughton whetstone from uk someday. 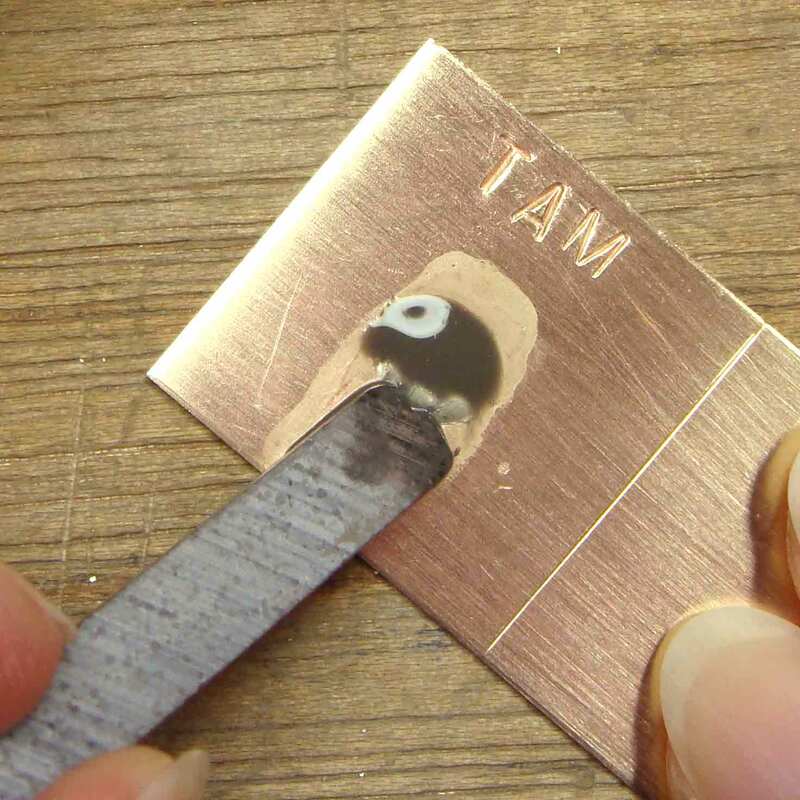 On tempered steel the tam behaves like a very gentle cutting 6000-9000 grit synthetic. The darker gray tam is coarser and the white tam is finer without fail. A particularly fine one can make a straight razor keen enough to shave with comfortably. Silversmiths love them. I come across bits of it a lot in NYC in my hunt for hones suited for my needs. Usually the sticks like you have, but also the 5x1x1 chunks. It’s easy to cut like you said so my advice is just buy a bench stone of it from the uk as an investment and fabricate rods from it as needed. Hi, I’ve just read your article after finding some 4” x 1/2” “Tam O Shanter” hones in my late fathers’ workshop. Is there a forum where I could offer them for sale and if so, how much would be a reasonable price? I normally would put them straight in Ebay but they are quite specialised so that might not reach the target audience. I’ve bought most of my Tam O Shanter Hones on Ebay, and that community seems to be keenly aware of their value. I know a number of people who have Ebay searches set up to show them Tam O Shanter hones that are posted for sale, so I think you’ll reach your target audience without any problem. Do a search on completed listings to get an idea of value.